Jesus said to him, “Today salvation has come to this house . . .” (Luke 19.9).After almost a whole month of being on the road, I’m happy to be sitting in a hotel this morning writing this eSight for next week. For those of you who have been missing these over the last four weeks, I have something to make up for it. We have a brand new series on the book of Revelation which I’m guessing will be a different approach to that book than what you may be used to. Out of all the major documents we possess today from the early Jesus community, John’s Revelation has received the least attention from scholars. The picture we get from the early Jesus story of the ?rst century is that of a traveling teacher, traversing the countryside pioneering a new moral ethic based on a radically different way of seeing God, ourselves, and others. Take away the lens of alarmist prediction, use instead the lens of the ethical teachings of Jesus, and Revelation becomes a whole new book! It ceases to be so much about predicting the future and becomes a message of hope, coming down to the followers of Jesus in the first century from a not-too-distant possible future. It promises new possibilities for people tomorrow if they will but listen today. Jesus gave us a way to heal our world. The question we must ask is whether the ethical teachings of Jesus and his unique picture of God, ourselves and others remains relevant to us in the 21st century. In the fourth century, Christianity, in signi?cant ways, laid aside the ethics of Jesus, its founder. Much good, but also much abuse, has since been done in Jesus’ name. The ethical teaching of Jesus are still calling to us today. The question that still haunts us is whether anyone, Christian or non-Christian, will pick those teachings back up and follow the Lamb. Now, let’s get into this week’s eSight. This week, I want to take a look at the story of Zacchaeus. Specifically, I want to take a look at a detail within the narrative that I believe gets passed over far too often today. I want to also encourage you to actually go back and reread the entire story in Luke 19.1-9. The part that I’d like to focus on is the moment of decision for Zacchaeus and Jesus’ response. We’ve already looked at Jesus’ radical inclusivity. Remember, the label “sinner” in first-century Judaism meant someone living outside the Torah and someone who had been “excommunicated” or “disfellowshipped” from the covenant community. 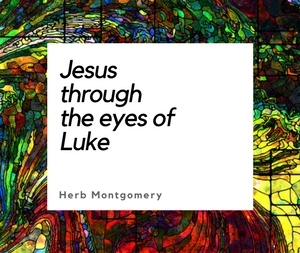 All the people saw this and began to mutter, “He has gone to be the guest of a sinner” (Luke 19.7). But Zacchaeus stood up and said to the Lord, “Look, Lord! Here and now I give half of my possessions to the poor, and if I have cheated anybody out of anything, I will pay back four times the amount” (Luke 19.8). I have been told countless times by sincere people that they felt their ministry was not to reach the poor, but to reach the more affluent in our society. And while I do hear what they are saying, I think it is ironic that the conversion moment for this affluent man was a decision to help the poor. It could be that we don’t help the poor for what it does for them, but for what it does for us. It could be that we don’t help the poor in order to reach them; instead, we “reach” and bring salvation to the affluent by teaching them to partner with us in helping the poor. Jesus said to him, “Today salvation has come to this house, because this man, too, is a son of Abraham” (Luke 19.9). Jesus, at least here, does not define salvation as some legal transaction. He does not here define Zacchaeus’ salvation as simply being pardoned or let off the hook. In this story, Jesus defines salvation rather as a healing which had come to Zacchaeus’ soul. Let me explain. When we view salvation as merely being forgiven, as if salvation was accomplished by convincing God to let us off the hook, we actually are defining salvation differently than Jesus did in the story. For Jesus, salvation was not getting a person from a state of being unforgiving to forgiven. No, Jesus’ forgiveness was an already done deal. And it was not the end goal. It, rather, was the means to reach his goal. Forgiveness, radically inclusive forgiveness, was actually the medicine Jesus used to bring about the healing and restoration of those he was endeavoring to reach. Again, salvation for Jesus was healing and restoration. Forgiveness was what he used to accomplish it. Remember, as we’ve said many times before, a person can be forgiven and still be lost. This is why it is important to realize how unconditional Jesus’ forgiveness really was, because only this type of forgiveness is powerful enough to heal. When salvation is defined as simply legal pardon, if it is only about getting free of some heavenly legal charges rather than healing and restoration, then even salvation that is labeled as “by grace” is just another form of LEGALISM. I’m quite sure that, if Zacchaeus was like any of us, he did not get it right every time after that. But what we see in his story is a person whom the religious of his day had written off as hopeless, one who made a radical change of direction in his life and became of follower of Jesus. It’s not the failures or successes, victories or mistakes, that make us a follower of Jesus, it’s the direction of our life. And what we see in Zacchaeus was a definite change of life direction. There are two more things I want to mention, then we need to wrap up. Secondly, Zacchaeus, although affluent, embraced what the religiously affluent had made fun of Jesus for two chapters previous (see Luke 16.14). Helping the poor is NOT an optional requirement for those who desire to become followers of Jesus. Helping the poor is at the core of the beauty of God’s love we are to display to the world around us. And Zacchaeus got this. In the early church, they understood this too. They had no buildings to fund, they had no staff to support. The took up offerings, but they did not even spend the funds on evangelism. The early documents we have today prove that 100% of their offerings, with very few exceptions, were simply given to the poor. Tertullian provides us with details of the church services in North Africa. He spoke of every person bringing money, “whenever he wishes and only if he is willing and able. It is a free will offering. You might call them the trust funds of piety. They are spent on the support and burial of the poor” (F. F. Bruce, The Spreading Flame, The Paternoster Church History, vol. 1, Exeter, Devon: Paternoster, 1958, 197). Justin Martyr provides us with similar insight from the second century practice of the Roman church. Speaking of their services he says, “the money thus collected is deposited with the president who takes care of the orphans and widows and those who are in straits because of sickness or any other cause and those in prison, and visitors from other parts. In short, he looks after all who are in need” (Bruce, 196). Justin explains that regular gifts were brought to the communion service to be used for the common fund. The church in the port city of Ostia, Italy, devoted as much space to storing goods to be redistributed to the needy as they did space for their worship services (Axel Boethius and J. B. Ward-Perkins, Etruscan and Roman Architecture, Pelican History of Art, Harmondsworth: Middx, 1970, 152–4). 1) Their lives of nonviolence where they would rather die than inflict harm on another. 2) They not only took care of their own poor, but they took care of the poor who belonged to Rome as well. In short, we need to take more seriously Jesus’ commands to help the poor if our authenticity about following Jesus is to be taken seriously in today’s cultural climate. We must be more than simply believers in Jesus. Jesus is inviting us to be FOLLOWERS of him as well. Remember, the picture we get of Jesus in Matthew, Mark, Luke and John, is of an itinerant teacher, going around gathering those who will join him in a revolutionary way of doing life that he calls “the kingdom of God.” The “kingdom of God” is not some place in the heavens, nor is it a place some go to when they die. This “kingdom of God” is a radical rearrangement of how we see God, ourselves and everyone else. It leads to a radical rearrangement of how we do life in the here and now. It’s a radical rearrangement of how human beings arrange their society that is “of God” or “from God” . . . to us . . . through this person Jesus. To enter THIS way of doing life is entirely revolutionary. It is a radical break with life as we have known it, as it has been given to us, as we have been told, as we have been instructed is the natural way of life. It is a call to go against how we have been indoctrinated, to go against the scripts we have been handed, the rules we have been given on how to play the game. To “follow Jesus” is to break with all of that and say, “I want to live by an entirely different evaluation of what is important.” It’s radical. It’s revolutionary. Today, Jesus is still extending the invitation to join his revolution. He is looking for those who are weak but daring, afraid but believing, unsure but willing to take a risk—people who are simply crazy enough to go for it with him. To follow Jesus and live the Jesus way is the most revolutionary thing a human being can do. It’s not about getting a ticket to heaven. (How boring, tame, and domesticated.) It’s not about saying a simple prayer, going to a service once a week and then simply going back to the way things have always been done. To follow Jesus is to adopt a completely counter-intuitive way of doing life called The Way, of which Jesus is the template and upon which an entirely new way of looking at God is based. The “kingdom of God,” rightly understood, is an alternate society formed around Jesus, his teachings and his picture of God. It’s about learning to follow the Jesus practice of love, unconditional forgiveness toward others, restorative justice, mercy, nonviolence and fidelity to self-sacrificial other-centeredness. Jesus is still looking for followers today . . .
. . . and you just never know when someone might leap. Give the poor the entire kingdom. Give comfort to those who mourn. Give the earth to the meek. Give equity to those who hunger for things to be put right. To the merciful, the peacemakers, and the persecuted a place with the Lamb on the throne. The Kingdom is now. Love subversively. I want to share with each of our HeartGroups a document that was given to me recently by someone I highly respect. I want you to read it with an open mind. HeartGroups do not have all the baggage other forms have today. We can do this more easily then any other groups I am aware of. So I have only three steps for application this week. 2)Take notes while you are reading of any thoughts that Jesus may impress upon you. For everyone else, keep living in love and loving like Christ. Now go enlarge the Kingdom!